This is a question/situation that we deal with on a daily basis, especially this time of year. Customers have a room/rooms or an entire floor of the home that is uncomfortable and they do what they are able to attempt improving the comfort in their home. Besides adjusting the thermostat up or down, the only other readily accessible "control" they have over their heating and cooling is the supply registers in their living space. Some fine tuning of the supply registers to balance the system and direct airflow is reasonable and acceptable; however, more often than not we find folks have completely closed off entire rooms or even floors in attempt to direct their heating or cooling airflow to uncomfortable areas of their home or perhaps in a misguided attempt at saving money on heating and cooling costs. Let's look at those reasons in more detail and talk about why it really isn't a good idea in almost every case. First, let's talk about energy savings because that one is pretty clear-cut. Closing vents to save money in heating and cooling costs will generally not work and could even cost you more. That might sound counter-intuitive - if I'm heating/cooling less of my home, how can that cost more? There was actually a study performed by Lawrence Berkeley National Laboratory back in 2003 that showed just that. Now, that test simulated a home in California with a single, large central return and ductwork in unconditioned space. Here in Northwest Indiana and South Chicagoland we typically have ductwork in conditioned basements with return registers in most rooms rather than a central return. So, I believe the conclusion is the same but for a couple of different reasons. When you close off the supply registers to a room you do a couple of things. We'll assume it's heating season and you're trying to save some money by not heating a room you don't use often, so you close the register(s) in that room and close the door. What you can't keep from happening by doing that is the cold coming through the walls, ceilings, floors, and windows. It will cool off that room just the same as it did before. In fact, if it gets cold enough, you may find yourself fighting condensation problems on the walls and ceilings of that room which can damage materials and even lead to mold growth. Two things then occur -- since very few people have insulation inside interior walls and doors, that cold will come into the house just like it always has. Also, the return duct inside that room is going to draw in the now colder air from within the room, and since we've shut off the supply vent it will create a negative pressure inside the room that will increase the infiltration of cold air through any cracks or crevices. You also increase what is known as the static pressure inside the ductwork of your home. Higher static pressure is going to affect the airflow through your furn and to your entire home. If you have a standard blower motor on your furnace, higher static pressure is actually going to slow down the fan and decrease airflow to the entire home. It can actually get low enough that the heat being created inside the furnace is unable to get out quickly enough and the furnace can overheat and hit the high limit, causing it to shutdown. Repeatedly running on high limit is terrible for the furnace and will significantly shorten the life of the components, especially the heat exchanger. The problem is similar in the summer - low airflow can lead to a frozen coil which could lead to liquid refrigerant making its way to the compressor which can kill that vital component in short order. In other words, you can literally destroy your important and expensive heating and cooling equipment with something as seemingly harmless as closing a few vents. So what should we do when we want to save money on Heating and Cooling? 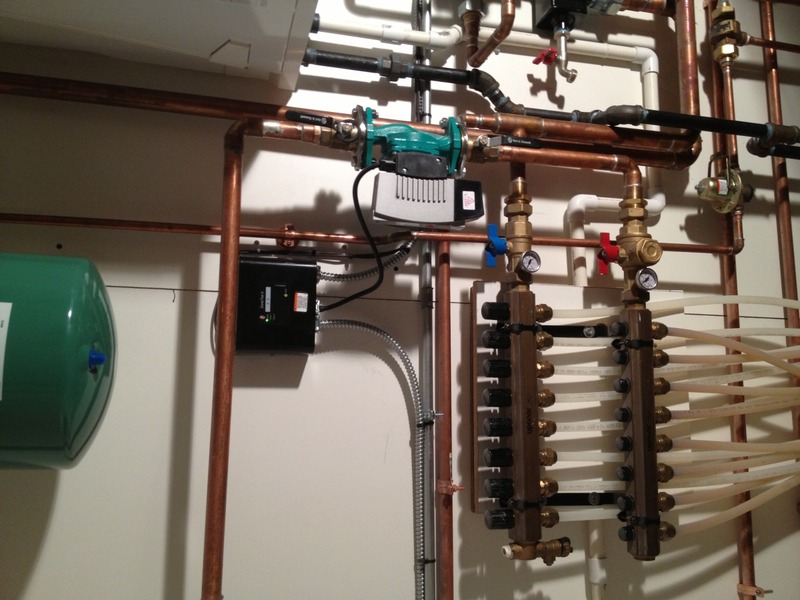 Installing more efficient equipment is a surefire way to reduce your energy cost/consumption. What else? Reducing your load by better sealing, windows, and insulation is another option. By simply reducing the amount of heat that is being gained/lost through the walls, ceilings, and floors we make less work for the HVAC equipment. Finally, turning the temperature in your home down in the winter and up in the summer can make a big difference. Either all the time (wear sweaters in the winter) or through the use of a properly programmed thermostat can make a large dent in one of your largest costs. Finally, getting your equipment professionally tuned-up every year can make a huge difference in efficient and safe operation. If you have a variable speed blower in your furnace you are benefiting from the more energy efficient design of the motor at regular speeds. However, when faced with increased static pressure from closed vents, a variable speed blower will do what it can to still match the requested airflow which means spinning faster and working harder, sometimes to an extreme. At that point you are using much more energy to run the system, it will be much noisier and you certainly won't be saving any money. The event that inspired this article was a customer with a 3 year old furnace that needed to have the heat exchanger replaced last year once again had over 50% of their registers closed in the home. That customer must have comfort issues they are trying to solve by closing registers, so let's talk about that. If you have a single room that is getting too much heat in winter (or cooling in the summer) I think it is alright to close the register into that room. Assuming you have at least 10 registers in your home, you're reducing available airflow by less than 10%, something most systems can handle. What isn't OK is when people have a single room that isn't getting ENOUGH heat so they try to close all the OTHER registers to "force" the air where they want it. As we discussed before, closing registers will actually decreases all the airflow in the house to the point that it may be causing damage to your heating and cooling equipment. Also, decreased airflow throughout the home is likely to cause new comfort problems in other rooms where there were none before. So, what's a person to do when they have comfort problems in their home? Here at Illiana, we face a lot of these comfort concerns every day and we thankfully have a number of solutions to offer. Multi-stage and variable capacity equipment can go a long ways to improving home comfort and often improve efficiency at the same time. Being able to more closely match the output of the heating and cooling equipment to what your home actually needs at the time allows for longer run-times which allows airflow to circulate through all the rooms of the house at a slower rate, rather than experiencing the "blast furnace" effect with equipment that is larger than it needs to be in the winter or the "meat locker" in the summer. That 2-stage or variable speed equipment also comes with a critical component - a variable speed blower motor. A key feature is the ability to run the blower all the time - even when not heating or cooling - at a low speed that is quiet and energy efficient but allows air to circulate throughout the home to keep temperatures much more even between rooms and even between floors. If you're not due for or can't afford new equipment, there's good news - we can retrofit a version of the variable-speed motor into most furnaces to get the same energy savings and comfort benefits. What about homes with multiple floors that just aren't comfortable? That's a great application for zoning. Properly designed and installed zoning systems allow different temperature zones within a home with existing equipment to provide comfort and savings unavailable any other way. In my own home, a zoning system was the only way to have both floors be comfortable at the same time. Before I installed the zoning system it was either way too cold or way too hot upstairs depending on the season and I simply could not get it right up there for any length of time. Zoning solved the problem for me and it could for you too. Finally, the addition of another source of heating or cooling may be the solution. We've helped a number of folks that have beautiful 4-season rooms and bonus rooms that were never comfortable until we added a ductless Heating and cooling system for them. Sometimes areas have insufficient ductwork or have a temperature and climate so different from the rest of the home they simply need their own heating or cooling. We've even done bedrooms in homes where someone needed different temperatures than the rest of the house and a ductless system solved that problem. By simply adding an independent source of heating/cooling to the problem area you are then free to let the main system take care of the rest of the home as intended. While a higher cost option, sometimes it is the only thing that can truly make things comfortable and efficient. So, if you find yourself with comfort problems or you're looking to reduce your heating and cooling bill, don't close registers. Instead, give us a call and see if we can't help give you a real solution to your comfort needs. After all, we're Your Christian Owned and Operated Neighborhood Comfort Specialists Since 1987! Many people never drive a car that far the entire time they own it, and 10,000 starts is probably enough to last most folks 8 or 9 years, but I'm guessing that every single person would have had maintenance performed on their car at least once in that span of time. We change the oil every 3,000 to 5,000 miles and might even get a tune-up at 30,000 or 50,000 miles (especially if we buy the car new!). Furnaces? Air Conditioner? Every day we see decade-old units that have never been touched since the day they were installed and unfortunately these wonders of modern technology often face expensive repairs and premature deaths that often could have been avoided. Now, I promised pictures and all I've done is type, so I'll get to the point. Below you will see the picture of a set of burners that was keeping a furnace from running properly. The problem, as you can imagine from their appearance, is the the flame was not properly and consistently spreading across the burner faces to all the burners and was consequently tripping the flame-sense safety feature of the furnace. As you can see, they're not pretty. This is much more than surface rust - this has actually corroded and eaten away at the metal of both the burner face as well as the crossovers, some of which are completely closed off from the rust. So you might be thinking to yourself, "Wow, that's bad, but I bet this is from a 20 year old furnace that needed to be replaced anyways." These are shiny and new and after a season of "driving" a long Chicago winter they will probably show some surface rust, particularly if they are used with LP gas as the worn ones were. However, annual cleaning of the burners as well as the rest of the unit will keep these lasting much longer and keep the customer from waking up to a cold house some morning when the heat is needed the most. It's amazing what we find inside of people's furnaces during Precision Tune-ups that people would have had no idea about except they had a thorough inspection and cleaning - water leaks, animal nests, failing components, etc. Things that can cause equipment to break down and wear out much more quickly than if they were properly maintained. Let's be honest, when's the last time you even thought about the condition of your furnace, let alone opened it to thoroughly inspect and clean it. On second thought, leave the cleaning and inspection to trained professionals or better yet, get on an maintenance plan like our Goldstar program so you don't have to worry about forgetting to keep your "car" running right for years to come. Driving 2,400 hours at 60 miles per hour = 144,000 miles!! And that's just a single heating season! He said inspectors found a crack in an internal part of the furnace Monday afternoon and would replace the unit later this week. It’s unclear when the crack appeared. Furnace problem sends 8 to hospital in Des Moines "...she had a headache for the last four days"
"Brown said the occupants of the home could’ve easily been killed by the CO gas had the 911 call not been placed. “Our meters read 500 parts per million and it alerts at 25 parts per million, so it was way over…1,200 parts per million in a home is immediately dangerous to life and health,” Brown said. The source of the gas leak was traced to home’s furnace [emphasis mine]. Brown said it appeared moisture from the air conditioner dripped onto the heat exchanger, causing rust and the buildup of carbon monoxide." In other words - the heat exchanger had rusted through and the furnace was putting carbon monoxide in deadly levels into the home. 2 Minnesota men died of carbon monoxide poisoning "a damper on the furnace of the rural Springfield home was not functioning properly." So it doesn't appear to have been a heat exchanger, but part of the furnace that appeared to be functioning normally was in fact the cause of death for 2 people. So what's the takeaway? What's the lesson we should learn here? Furnace safety matters. It's a life or death situation for some people. Annual preventative maintenance and inspections are one great way to keep your family safe. Carbon monoxide detectors are another. I keep talking about this subject because it's important, and like I said before, people don't necessarily understand the potential danger. We have received more phone calls and gone through more trouble related to failed heat exchangers that we find than any other problem we encounter. People are furious that we have told them they have a dangerous situation and shut down their equipment. People call angry that we've left their elderly parents without heat "for no good reason". They call insisting we're trying to rip them off and don't believe they have an issue. They won't let us come back to show them again when we offer, either. We've been called unethical, liars, cheats, you name it, but we're going to keep informing customers when we find cracks in heat exchangers because it truly is a safety issue. The reason for their frustration is fairly simple - the furnace appears to still be running fine, and they have carbon monoxide detectors that aren't going off. The reason for our insistance on addressing the issue with a new heat exchanger or new equipment is also fairly simple -- what seems like a small crack or hole could in fairly short order become a crack or hole large enough to kill them and their family. Literally. 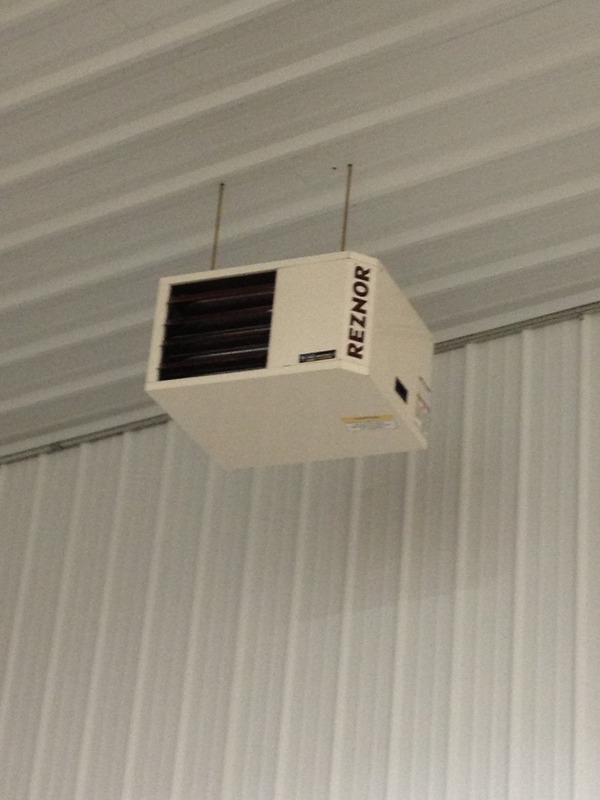 Almost a year ago we began planning the HVAC system in our new office and had to decide what we wanted to do. We knew we didn't want to do the "normal" of a forced air heating and air system as that is what we were coming from and recognize the shortcomings of that system. Even with a heat pump and zoning we found ourselves constantly fighting the temperature in the office and it was not particularly efficient overall. 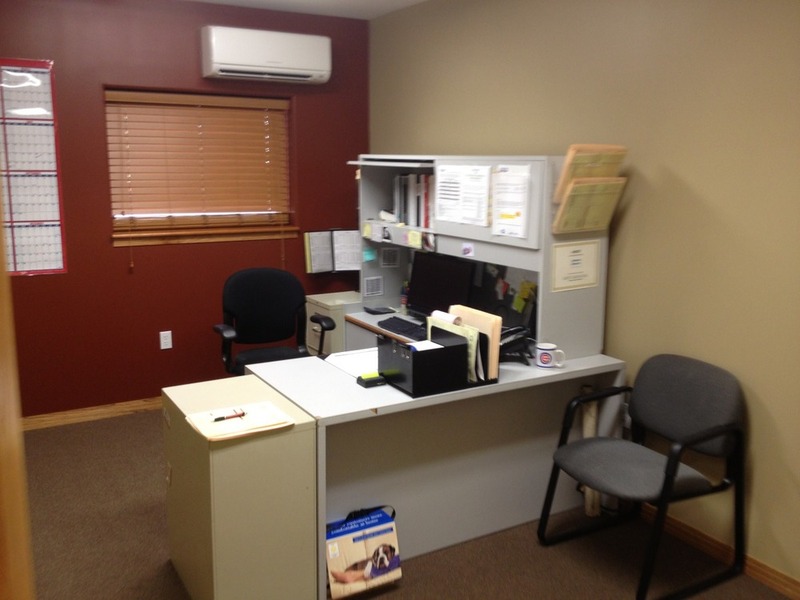 We also didn't have an unlimited budget, so we had to balance comfort, efficiency, Indoor air quality and price. 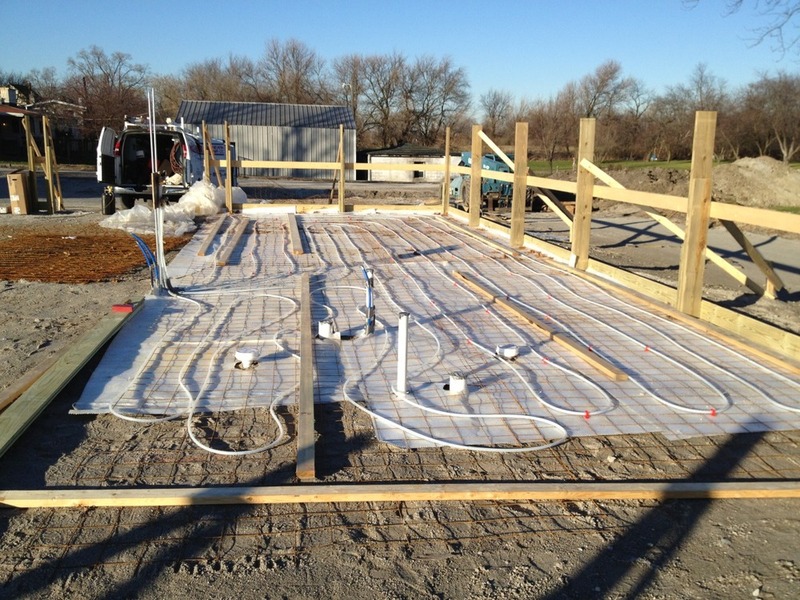 In the end we decided on radiant heat in the concrete slab floor of the offices, a hanging heater for the warehouse area (to keep it above freezing mostly), and mini-split heat pumps in every office space. If a customer wanted to have the best comfort and efficiency, this is the direction we would point them as well. The radiant floor heat will provide a very even baseline temperature throughout the office (and keep our toes warm). The thermostat controlling the system has a floor temperature sensor and an air temperature sensor to make sure we're keeping the slab warm without overheating the air above it and making sure the floor maintains at least a minimum temperature throughout the heating season. 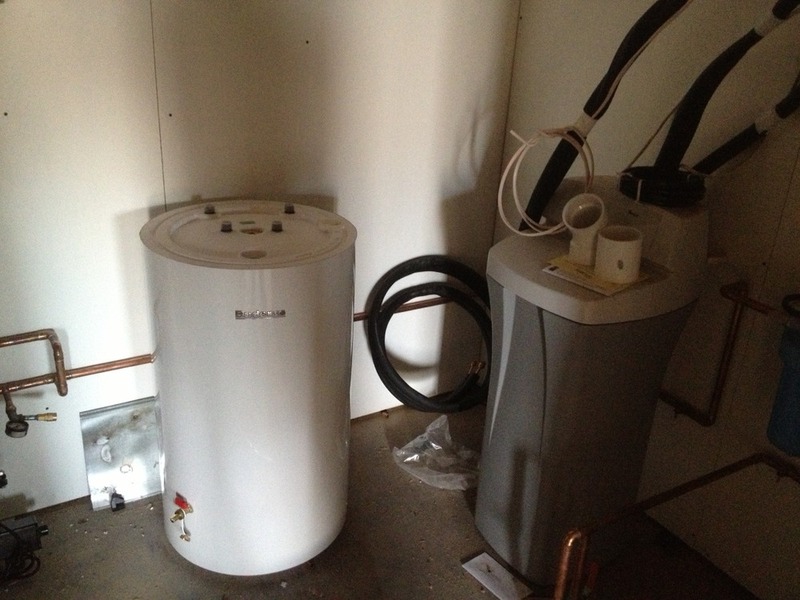 The mini-splits are part of a heat pump system, which means they can both heat and cool the space they are in. In the cooling months, they provide precise, quiet, and efficient cooling to each area. That means that when Tom wants his office 65 degrees he can do that without making everyone else cold. When Pat doesn't want any cooling in her office, she can do that too. In the winter, we have the heated floors providing a baseline temperature for the entire office while the ductless units take care of fine-tuning the temperature in every room above the heat the floors provide. Every single space having its own temperature control takes a little getting used to. Just like you would turn a light off when you leave a room you don't intend to come back to or aren't using we try to simply turn the system off when we leave for the day or in the case of a conference room on turn the system on only when it is used. Between the super insulated and air sealed exterior and the quick recovery of the system the room can be made comfortable in matter of minutes. After a few months it looks like the new building will cost the same or less than the old building that was one third the size. Speaking of the building, lets talk about its role keeping us comfortable and minimizing the monthly energy bills. 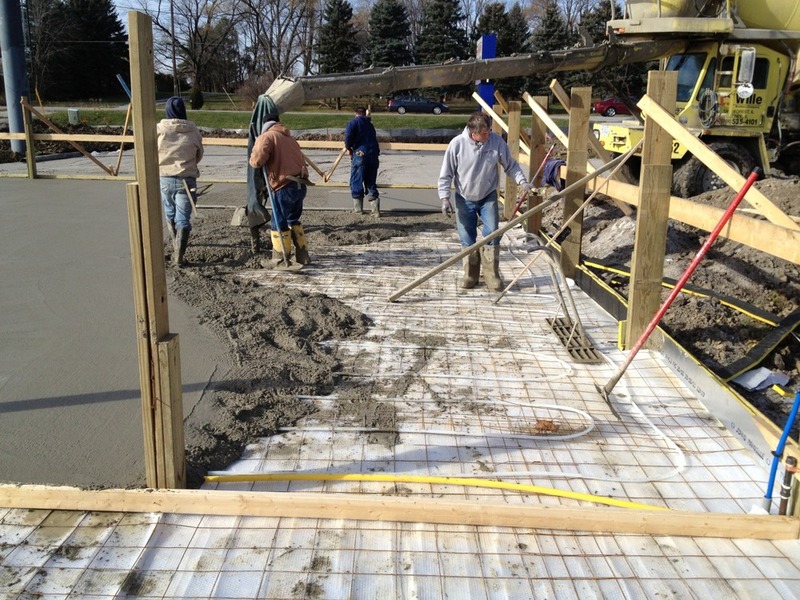 The building is a pole framed building over an insulated concrete slab. The exterior walls and the underside of the roof deck were sprayed with at least 6 inches of open cell foam insulation. When combined with the steel siding and roof and the house wrap below it, things are very tight from an air leakage perspective. With that tightness in mind we wanted to make sure we didn't forget the "V" in HVAC - ventilation. The last thing we want is a temperature controlled Petri dish - we want to make sure we have a way to bring in fresh air and exhaust the stale. To that end, we have an Energy Recovery Ventilator. This unit takes in air from one end of the building, exhausts it outside and brings in fresh outside air to the other side of the building. This isn't just like opening a window, however. Both air streams pass through something called an enthalpy core where they exchange their heat and humidity. That means that in the hot summer we don't just send out nice cool and dehumified air and bring in hot humid air. Instead, the ERV moves most of the heat and humidity from the incoming air into the air leaving the building. That way we get the best of both worlds - fresh air and energy savings vs. just bringing in outside air unconditioned and "throwing out" nicely conditioned air. Overall we've been very happy with the system and being able to set your own temperature is a nice luxury to have. We'll see what the cold weather brings, but we have every reason to believe the choices we've made will allow us many years of trouble free comfort. Check out the gallery below for even more pictures. I thought I would put together a quick post to provide some education about the problem of letting your dog (or your neighbors' dog) urinate on your air conditioner. My Heat Exchanger's Cracked.... Why Should I Care? As a homeowner, getting the news that your heat exchanger is cracked is a bit of a harsh blow. It's not unlike a doctor telling you about the "C" word. You know it's serious and you know you need to do something about it. Some people choose to live in denial of the seriousness of a cracked heat exchanger. Carbon Monoxide Poisoning is Real and Close to Home. if your furnace or boiler was a car driving at 60 miles an hour, it would drive over 50,000 miles per year. You would definitely have your car checked out at least every 50,000 miles - probably get the tires changes and the oil and filters too. Make the investment in your peace of mind and get your equipment checked out today. The other day, I met Frankenbeast's big brother. I'll call him Cerberus. Show Me the Money - How Much Does Your HVAC Really Cost You? Just about all of us get the pleasure of paying an electric and gas bill every month and most of us are aware that our heating and air conditioning is responsible for a large portion of that bill, especially when it's hot or cold outside and the systems get used a lot. Repair vs. Replace - How do you know?